Below are some of the most common questions we get from Owners. If your question is not answered below please feel free to contact us and we would be happy to assist you. Why would you hire FBS as your property manager? • Though you are arguably the most motivated to manage your own real estate you might not be as informed as you think. Expertise requires constant updating. Details matter and timing is everything. • You might know what needs to be done but doing what is needed is never convenient: especially every day, in every situation, no matter what else is going on or how you feel. You want us as your property manager instead. Please accept a promotion and become our boss. Expect consistent results from us. Our responsiveness to you and your renters is what we do. • Applying our experience to your circumstance is how we built and maintain our reputation. With over 40 years of daily real estate experience we attract the kind of professional network that your independent rental ownership never will. Often, our most significant contribution to your wealth and well-being is who else we introduce to you. As the Property Owner, how am I involved? A: You have employed the capable team of FBS to run your investment property as a rental business. FBS must be kept in the intersection of communication and decision. Some property owners are more involved than others, so it is important to inform your Property Supervisor, assigned to your property, the level of involvement you prefer. It is very imperative to let us manage your property through our systematic approach and procedures, with this in mind, refer all inquiries, questions or concerns to your Property Supervisor. As a team, together we’ll set a plan to handle all items, if you are not available to plan together with your team, it crucial to support our decisions on your behalf. Invest a few minutes each month to review the financial statement, sent to you. Ask when you don’t understand something or need clarification to a line item. Keep sufficient funds available for repairs and property improvements. Discuss major real estate decisions with us before you make them, for example refinancing, buying or selling. How important is it that the vacancy is rent-ready? A: Current market surveys emphasize that potential residents don’t visualize how nice a home could be until the rent ready work is completed. Therefore the condition of a vacancy is critical. Having a rent-ready home attracts a better quality of applicants. A home that is not clean and in good condition often indicates to the potential resident that the owner or manager is unwilling to maintain a property. If the resident feels the owner doesn’t care; why should they? What information does FBS utilize to qualify an application? A: We have a very detailed procedure to screen potential residents. We verify prior rental history, (five years) current & past employment and obtain credit reporting information. The reporting agency checks for any unlawful detainer (eviction) history. Any questionable or negative responses are immediately investigated and if the results are unsatisfactory, the application is denied. How do I know I’m getting a good resident? A: We screen all applicants in the same manner every time to protect our owners from undesirable residents and legal liability. The rental application we use provides us with the information necessary to determine the desirability of the applicant. Our standards adhere to all Fair Housing laws. The information is verified and a determination is made whether the applicant has the ability and the likelihood to pay rent and abide by the terms of the Lease Agreement. Naturally, we can never predict a change in a resident’s employment or social welfare, during his/her tenancy. A complete review of all information contained in the application or screening, then the Rental agreement, policies & Procedures and the resident handbook is reviewed with the resident. Care is taken to explain what we expect along what he or she can expect in return. This important dialogue lays the foundation for a successful residency and is considered a fundamental step in the screening process and placement that promotes good tenancy. Security deposits; what is the purpose and how are they handled? A: These funds are collected in the event the resident does not abide by the terms of the rental agreement and if any damages occur at the property that they would be financially responsible. There are a variety of restrictions on handling the resident’s security deposit. First, these funds must be held separate from all operating funds and second we must itemize any deductions upon move-out with documentation (invoices) specifically identifying the charges. As an investor, you must realize and prepare yourself for the possibility that if the resident damages the property, the deposit doesn’t always cover the entire cost to repair the damages. We make every attempt to collect any shortages that we justify as reasonable. Careful screening and choosing from a large pool of applicants is your primary protection, therefore pricing the rental correctly gives us numerous applicants to choose from. Surveys indicate that “how the security deposit is administered” is an important element of responsible management. Why do residents prefer our management? A: We work hard to ensure a solid customer relationship with the residents while serving your best interests. The residents are given a copy of the resident package at the time of lease signing. The resident package contains information regarding the timely payment of rent, how service requests are handled, how much they could be charged for damages and several guidelines that make working with us a little easier. The ability to pay rent online is extremely important to many. Our communication and policies demonstrate respect for our customers. Respect goes along way toward establishing trust. Is the move-in experience or process important? A: This is a very important element to the whole leasing process. If the move-in is smooth, free of hassle and disappointment there is likelihood that the entire lease term will be the same. We begin by performing a thorough inspection, documented as the official move-in conditions report that becomes part of the file. As well as we completely document the conditions with a series of digital photographs and we maintain the marketing video as proof of the conditions of the premises prior to the resident taking possession. On the other hand, if there are problems, the property isn’t clean and rent readied to the satisfaction of the new resident, then the new resident makes it very difficult for FBS in which affects you the property owner. We will be inundated with nuisance complaints and demands for unnecessary repairs and maintenance that they would have probably taken care of themselves or accepted but feel disrespected and are going to make us pay. This definitely affects your profitability for your investment property. How is a maintenance request handled? And what happens if repairs exceed my maintenance cap? A: The residents will notify us of any concerns at the property; we will document the issues and dispatch either a maintenance technician or your property supervisor to identify the concern. Each property has a contracted maintenance cap for the property. Once we determine the extent of the maintenance needs we will contact the property owner to obtain authorization to proceed, if it exceeds the cap. Repairs that exceed the maintenance cap must be approved by the owner unless it is an emergency or if we determine that after unsuccessfully attempting to reach you that a delay would not be in your best interest. We will obtain estimates and make suggestions to you for the needed repairs and create an owner authorization form for your approval and signature. We will not begin repairs without your authorization and funds must be in the account. Emergency repairs include fire or water damage, appliance malfunctions or items that fall within the habitability or safety guidelines. These will be immediately stabilized. What expenses will FBS handle for me? A: It depends what you arrange with us. Our accounting department pays property expenses out of the rent collected. This can include mortgage payments, property taxes, insurance premiums, utility bills, HOA fees, etc. If rent collection is not sufficient to meet expense obligations, an owner contribution will be arranged. Financial reporting should include all applicable expenses. Therefore, we recommend that all items are processed through your FBS trust account. How do I know that I’m getting quality work and competitive prices? A: We work hard to ensure that you pay a fair price for maintenance on your property. Because of our large volume of properties we deal with we are able to get discounts on work which we pass along to our clients. FBS maintains a list of preferred vendors, suppliers and contractors that we use to do maintenance work. We require that these vendors maintain our standards when contacting the residents and working at the property. Our staff maintains a constant presence in order to assure that you get what you’re paying for. This is accomplished by inspecting the job prior to payment unless circumstances dictate otherwise. While this requires additional effort and scheduling of manpower and time; it is far more cost-efficient than chasing a vendor after they have already been paid. A: Yes. Any consulting fees for tax and financial planning may also be deductible when connected to your real estate. Don’t forget, visits to your property and other expenses incurred to stay in contact with our office may be deductible as well. We suggest that you ask your CPA or other tax consultant about tax-deductible strategies. My H.O.A. is very strict — how do you enforce policies? A: Our resident signs an acceptance of the Home Owners Association rules and regulations. Upon move-in we encourage the resident to be a responsible member of the condo community. We hold them responsible for reasonable compliance to the rules and regulations. Any infractions that create a fine is explicitly outlined in the lease agreement that the resident would be financially responsible for the payment of such charges. Do I have to pay if my property isn’t rented? A: Normally you would only pay us our management fee if your property is rented. The only costs to you during the vacancy would be advertising and a lease-up fee after we have located a long-term resident for you. Why are your Yelp reviews mixed? A: FBS enjoys an interesting customer service role in the business community. First of all, our clients are independent landlords and our customers are their tenants. Landlords and tenants rarely agree on much due to completely different points of view. There are a myriad of consumer laws and regulations that emphasize their differences. Second, most business has one or a handful of client and/or customer interactions intermittent over a considerable period of time. Our interactions happen at least monthly but often weekly or daily and our relationships go on regularly for years. Third, Yelp creates a valuable interchange for customers spending a few dollars up to several hundred which represent a small percentage of that customer’s income. Expressing a personal opinion about a product or service can be a hobby for some while providing consumer guidance to others. However, FBS rental customers pay from a third to over one half of their household income for the housing products and services we represent. On the other hand, our rental owner clients see the reality of the cost and personal liability of their extended real estate ownership; often without substantial financial rewards. In our daily interactions with clients and customers we understand that a lot is at stake and it is natural to blame the messenger. Finally, considering we are the oldest and largest in this professional business specialty we continue to be pleased how few negative and how many positive reviews we get. We invite you to do a little more research on Yelp before believing the negative reviews. Also, check the filtered section at the bottom. Why FBS Can Add Value to Your Investment in Rental Properties? A:There are numerous articles highlighting the latest investment strategy of Wall Street. The financial prowess of the likes of Warren Buffet and Blackstone seem to be focused on the following strategy: acquisition of thousands of distressed homes, fixing and operating as rentals going forward maybe selling them at a later time but maybe just hold as income property. The acquisition of single homes and operating them as rentals is not new. For more than a decade FBS (though always headquartered in San Diego) was the largest rental operator of single homes in the state of Arizona. Purchase criteria had to be established based on our investment objectives. Utilizing this criteria a buying team was assembled and trained. Thousands of acquisitions were considered one house at a time and turned down. Relatively few (50 or fewer per month) were negotiated one seller at a time and closed one escrow at a time. During this incubation period we assigned each acquisition to one of our holding entities, an individual investor or small group of investors we represented. The acquisition and assignment of these assets went on for years and was a lot of hard work that was questioned by more than a few critics. 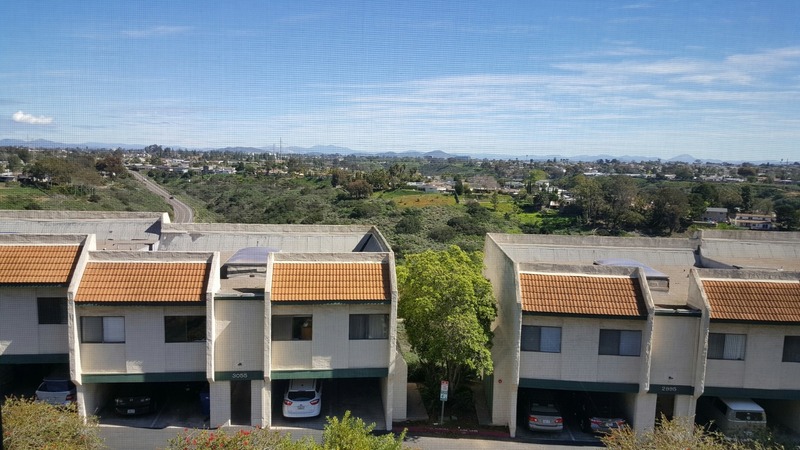 However, the required energy and organization that went into this acquisition process paled in comparison to the leasing, maintenance, rent collection, property operational reporting and ongoing management of these homes. All accomplished without today’s technologies including: showing and application online via smartphones, rent payments and maintenance requests via mobile internet access, property inspections with financial reporting and investor cash flows all getting to owners in real time via secure portals. As a matter of fact back then we could not find an out-of-box property management computer application to handle our Arizona rental portfolio that had grown to over 3000 single homes. In addition, we operated other real estate-related businesses that needed to be coordinated with our rental portfolio. 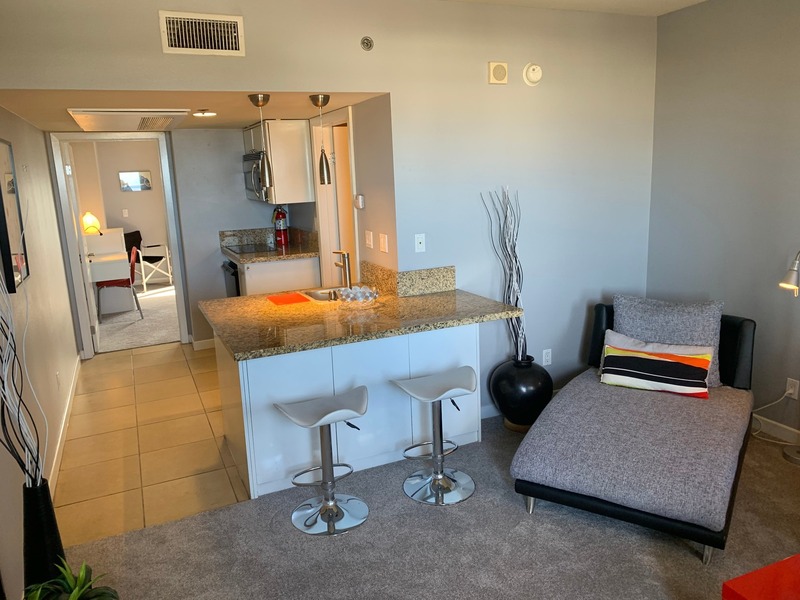 Last but not least, we operated an 1008 unit apartment community while executing a major remodel and repositioning to capture additional market value. We learned in house what we needed to computerize our operations and created FBS proprietary software that kept our departments and property management teams on track. Then there were the tax planning, physical improvements and equity refinancing to reposition these assets for resale and/or exchange to optimize return on investment. Perhaps as many as one-third of these properties are still held for investment and operated as rentals. It was all harder than we could have imagined and taught us more than we could have hoped. We had always understood that the financial benefits of real estate are long-term. We had always suggested to our investors that there are only two REAL problems with independent rental ownership. One is the lack of comprehensive professional advice over the life of each real estate investment. The other is the daily business management of each rental property. The practical experience of more than four decades of specialized activities that define our experience has created a body of FBS expertise and best practices. This legacy continues today with the value we add to every assignment we do for our clients and the quality rental housing we make available to preferred renters.